During our housesit, we lived about 15 kilometers away from Vinaros (30,000 inhabitants). Our finca was three kilometers from the nearest village, in the middle of the orange and olive growing area. The nearest neighbor was a few hundred meters away, and we could enjoy an exceptional quiet. Especially at night, the few light pollution was clearly noticeable and produced the most beautiful starry sky of the winter. Vinaros offers, apart from a beautiful beach and a charming city center, relatively little for tourists. The most famous landmark is probably the bullring. Otherwise, there is a market to stroll around, countless cafes, bars and restaurants and one or the other older building. About 25 kilometers from Vinaros is Peniscola. The city has only 7,000 inhabitants, but it is so popular as a holiday destination, that during the season up to 150,000 people stay in the city. The history of the city goes back to the year 1000 BC. Nowadays, you can hardly recognize anything this old, as today’s old town dates back to the 14th century. The castle on the 64-meter-high rock was built between 1294 and 1307 on an old Arabian Alkazaba. The Pope Luna then had the castle convert into a papal palace in 1411. There is also a statue dedicated to him, that should bring luck when touched. You can experience all this for the low entrance fee of 2,50 Euro. Incidentally, the castle is one of the most visited tourist attractions in Spain. The old streets and the atmosphere that surrounds the fort reminded me of Chefchaouen in Morocco. 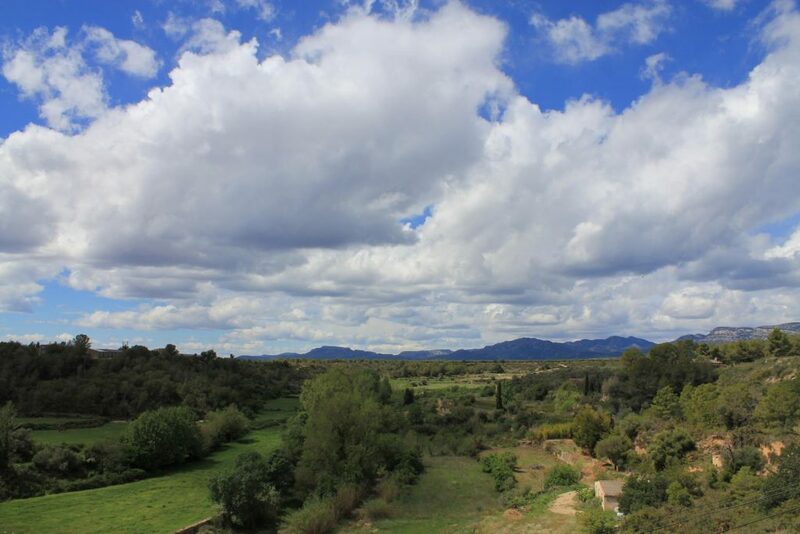 If you had enough of the castle and the trouble, you can take a look at the natural park “Sierra de Irta”. Here you will find untouched nature, peace and secluded coves. Where the English say something is “Greek to them”, the German say “Something seems Spanish”. They do have some unusual habits, that only attract attention when you get them told. For example: The average Spaniard never pays his traffic warrant. After all, the penalties are not assigned to the driver, but to the car. Each motor vehicle gets only once license plate, in contrast to the German standard. These plates remain unchanged on the car when sold. So if you want to buy any vehicle, you should first ask the police, if there are and how high the accumulated ticket debt is. Accordingly, the selling price is reduced. Who leaves his house in Spain unguarded, can get big problems: Should someone break into the house and stay there for more than 72 hours, this person legally (!) changes from burglar to the inhabitant, a so-called “Okupas”. To me, this was an unimaginable situation, but it really corresponds to reality. However, the laws are changing. To date, the occupant of a home is more protected than the owner. Therefore, to get an unpleasant “tenant” out of the house took months or years and was associated with high expenditure. After the change of law, this should be possible within three weeks “only”. Besides these inconsistencies, I noticed many things that somehow are on the wrong scent: street signs, where there is no road; Bike paths that end in a garbage bin after a curve; Lane changes that do not interest anyone – people drive as they did before. It does not matter if they are riding on freshly laid out green. These are just a few examples that support the phrase, “Something seems Spanish to me”. Otherwise, the Spaniards are a lovable and relaxed people, as long as you leave them alone during the Fiesta. By the way, in Catalonia there is no Fiesta held . There, people work the “ordinary” way, with only one hour for lunch. In the rest of the country, the Fiesta can take two to three hours. In any case, we had a very nice stay in Spain and will visit the country again this fall. Then I will expand these posts with new material. Until then, enjoy reading and check out the posts about Valencia, Barcelona and ​​Girona, too. Feel free to share this article or comment. And of course: I am happy about any donation.